Some have said that your carpet actually has as much if not more strains of bacteria in it than your bathroom toilet! How nasty is that. Boy I hope you don’t eat off that floor. Just a few of the things that can live in your carpet without you being aware are viruses, bed bugs, dust mites, fleas, salmonella, along with molds, and even e-coli. Those are just the small list; there are literally hundreds of different nasty things that can be found in your typical carpet. 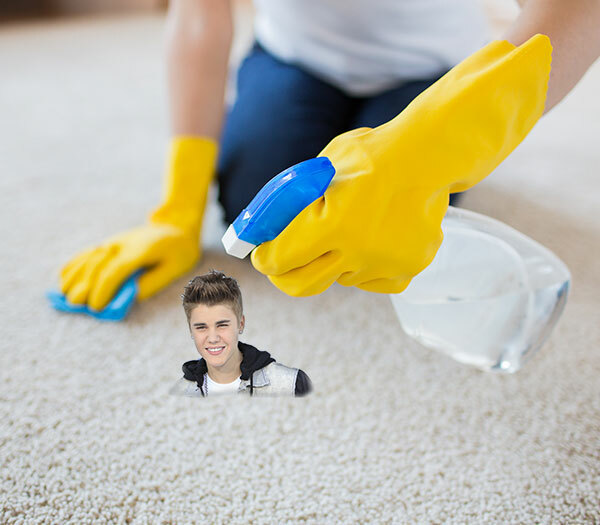 Once you have Beibers in your carpet, you just can’t get them out. While you will never be able to completely rid your carpet of one hundred percent of the nasty things that accumulate there, you are able to take some steps to help control the issue. Regular professional carpet cleaning services performed at a minimum of every 12-18 months can help to control the bacteria and bugs that might be lurking down deep in your carpet. When doing carpet cleaning yourself you should be careful most carpet cleaning solutions have a chemical known as Naphthalene which can be very dangerous to your respiratory system, this is especially true for children, infants and even pets. It is far better to leave the work up to the pros who know what is safe for your and your family. When you are vacuuming your carpets you should be emptying the canister and changing the bag at least once a month. A report has said a family kept falling ill with GI issues, when they looked into it further it was because their vacuum would pick up salmonella bacteria and actually deposit that bacteria into the air, making the family ill. In this day and age, so many people want canister vacuums but in reality the bagged ones could be potentially better at removing harmful and nasty things from the carpets and not redepositing them into the air, because everything picked up by the vacuum is collected into the bag and the entire bag is thrown away. Now, I should give you some good information, right? A well maintained carpet can be very beneficial to a household. When you maintain the carpets in your home you can improve the quality of air which can help eliminate allergy symptoms or at least prevent them from being bothersome. So remember, vacuum often and change your bag or empty your canister at least once a month and have a professional come in and clean your carpets every 12-18 months to keep the nasty carpet dwellers at bay.